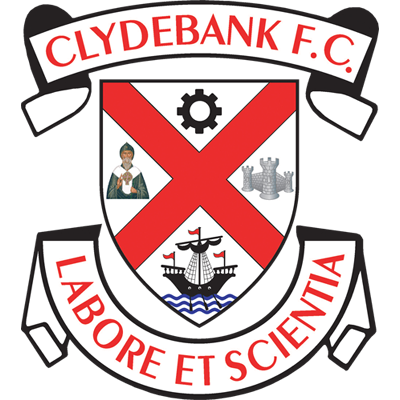 Clydebank went from the high of last week’s 6-1 demolition of Petershill to the low of a miserable 1-0 defeat at the hands of Renfrew who had only won one of their first ten league matches. It’s hard to believe this was the same starting eleven who played with such style and finished their chances so clinically last week. Where the team had sparkled in the sunshine against Petershill, this week in the torrential rain, the players were desperately disappointing. 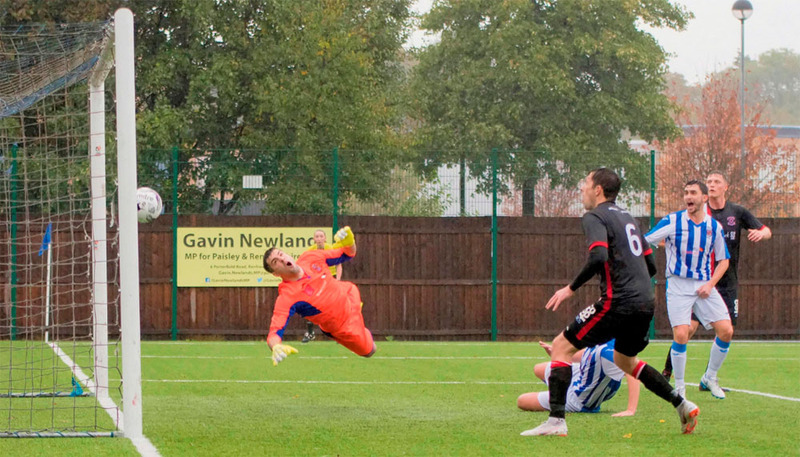 Despite this, the Bankies should still have grabbed a late draw as Hepburn missed what looked like an open goal. Right from the kick off the Bankies didn’t seem to have the same spark. The opening quarter of an hour was punctuated with mis-placed passes, errant control, and a propensity to play a long ball down the centre of the field that was easily taken care of by Campbell and Henry in the Renfrew defence . Renfrew on the other hand played with much more purpose, were winning all the second balls and seemed to pounce on everything that was loose by the Clydebank players. There wasn’t exactly a lot of chances being created in the early stages with McKenna steering a header over the bar from a good position for the home side and Chris Black shooting over on the turn from the edge of the box. The decisive goal came in the 25th minute when new signing Declan Fitzpatrick stepped out of defence with the ball but clumsily gave it away to Henry. The Renfrew defender strode into the space now vacated by Fitzpatrick, worked a lovely one two before slotting the ball into the corner of the net. This goal buoyed the home side and they were certainly the better side for the rest of the first half, as the Bankies struggled to put their game together. Although Renfrew didn’t threaten too much, they should have added a second when Maxwell had a free header from a cross on the right, but he completely mis-timed his jump and the ball skidded away. The best the Bankies could muster was a long range effort by Rowan that seemed like a bit of a waste as he had better options in front of himself. The Bankies were better in the second half, but didn’t look to have the guile to unlock the home defence. A chipped pass down the right hand channel found substitute Stevie Higgins who tried one of his trademark shots from an angle and distance that seems unlikely to yield a goal. It was a fine effort that Burgess had to be smart to save at his right hand post. Nicky Little then saw a free kick turned round the post rather clumsily by Burgess before Renfrew should have really doubled their lead. A cross to the back post from the right wing was subject to a terrible attempt at a clearance by Black. He only succeeded in playing the ball back across the penalty area directly to Maxwell. With the whole goal to aim for he somehow poked the ball beyond Waters far post. The introduction of Hepburn was to bring the Bankies two of their best chances in quick succession. With 72 minutes in the clock the winger raced down the left wing and delivered a superb cross ball in to the box where Nicky Little was waiting. The normally reliable forward powered a header towards goal but it was too close to Burgess and he managed to beat the ball away. Literally, a minute later Hepburn set up Black, but he lost his balance as he shot and the ball was saved comfortably by Burgess. 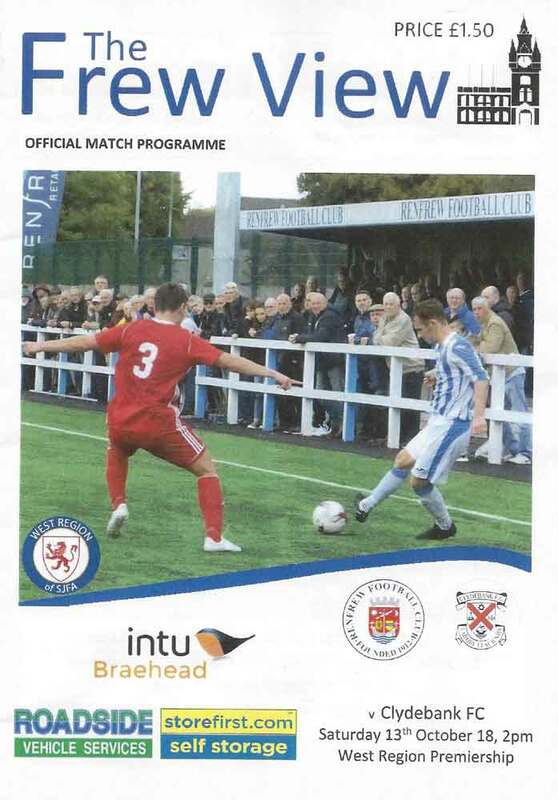 As Clydebank chased the equaliser Renfrew could have clinched the points with three minutes remaining. Substitute Innes went on a fine solo run leaving Vezza and Darroch in his wake. His shot didn’t match his run and Waters was able to save. Incredibly the Bankies could have snatched an equalizer as Hepburn had not one but two great chances. The first came from a long throw in that was touched on to Hepburn at the back post. With the goal at his mercy he somehow shot over the bar. He then had a more incredible miss as the ball broke to him in the box. The highlights will be interesting to see, as it seemed he had an easy open goal to shoot at, but maybe I’m doing a Renfrew defender a disservice who made a heroic block to stop a certain goal. 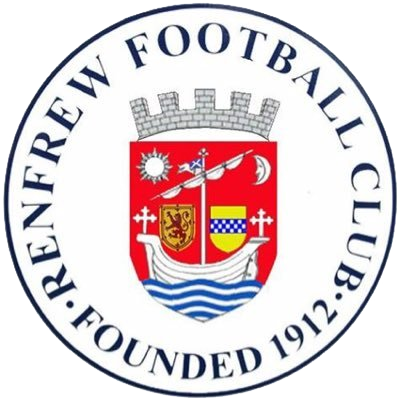 Renfrew will feel their overall energy and endeavour were deserving of all three points and it is hard to argue with that. The Bankies were poor all over the park, and didn’t have anyone who could take control of the middle of the park in particular. Looking at the way results have been going, It seems consistency may well be a bit of a problem this season. There is not a lot of scope to change it about, but the return of Jordan Shelvey will be welcome.